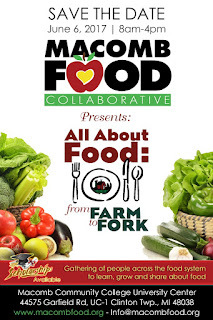 I wanted to forward this excellent opportunity to network and learn with other farm to school champions. There will be SIX school food and garden focused sessions this year, so lots of opportunities to support your programming and get more local food into your schools and early childhood programs! 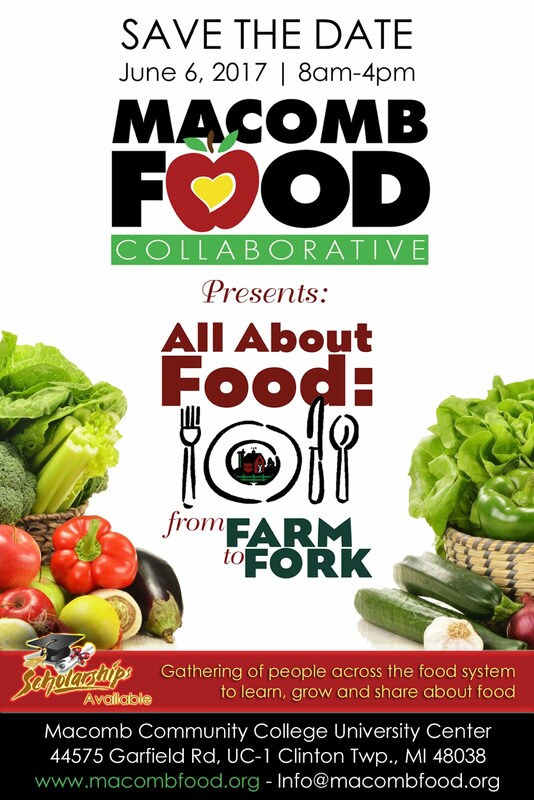 The 2017 All About Food: From Farm to Fork Conference early bird registration is open on macombfood.org! The conference will feature an exciting line-up of keynote and breakout speakers, with topics for everyone engaged in the food system. The event will be held at Macomb Community College University Center on Tuesday, June 6th from 8am – 4pm.